It’s no secret: Applying for a mortgage loan isn’t much fun. It takes tons of paperwork, time and, unfortunately, money. There is good news, though. 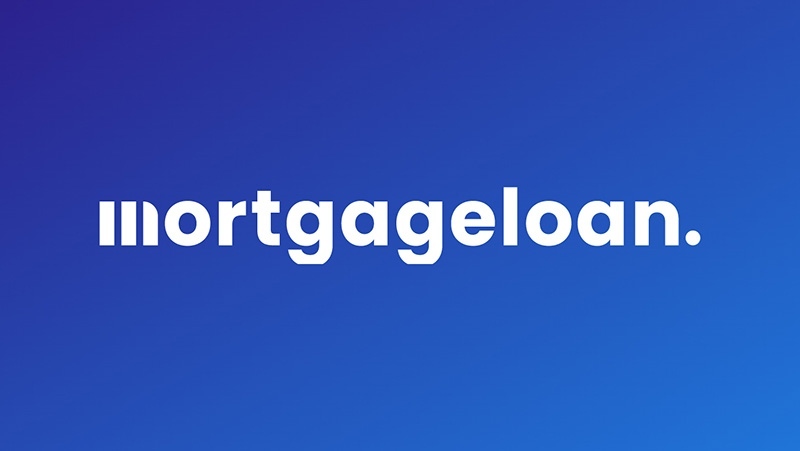 If you don’t drag your feet on providing the documents that your lender needs – everything from copies of your bank-account statements to your recent tax returns – and you don’t wait days to answer whatever questions your lender might have, you can ease most of the stress of the lending process. But, no matter how smoothly your application for mortgage financing goes, you’ll still run into some hassles. The mortgage process is too complicated for this not to happen. Here, then, are the five hassles consumers hate most about qualifying for a mortgage loan, in the words of mortgage and finance professionals themselves. J.D. Crowe, president of Lawrenceville, Georgia-based Southeast Mortgage and president of the Mortgage Bankers Association of Georgia, said his clients shudder at the amount of paperwork necessary to close a mortgage. “There was a time not too many years ago when consumers simply completed a home-loan application and, if they happened to embellish a few things such as income, credit score or employment, it wasn’t a problem because lenders didn’t have to abide by a lengthy verification process,” Crowe said. That has changed. Today, lenders require copies of your last two months’ worth of bank-account statements, two most recent paycheck stubs, last two years of income-tax returns and your W-2 forms from the last two years. Lenders use these documents to verify that you earn enough to afford your monthly mortgage payments. You can make this part of the loan process less stressful by gathering these documents as quickly as possible. Don’t think you can “forget” about a document. Your lender will not approve your loan without copies of all the papers for which it asks. David Hosterman, branch manager with the Greenwood Village, Colorado, office of Castle & Cooke Mortgage, said that his clients also hate having to provide explanations for the credit inquiries and negative marks that show up on their credit reports. When you apply for a mortgage, your lender will run your credit to see how well you've handled your finances in the past. Your credit reports will list other financial institutions that also ran your credit. These credit inquires can be from auto lenders, credit-card companies or student-loan providers. Your lender will require that you explain any of these credit inquiries that took place within 120 days of the date on which your mortgage lender pulls your credit. It's not always easy to remember that you applied for a credit card 100 days ago. Your lender will also ask for an explanation of any derogatory credit item during the last two years, Hosterman said. These derogatory items can include past bankruptcies, foreclosures or late payments. "This sometimes affects consumers as they don't like to remember specific life events that caused these derogatory items," Hosterman said. Marcia Clark, a real estate agent with MC Realty Consulting and Management in Brooklyn, says that interest rates often give home buyers a headache. That's because they so often end up with a mortgage rate that is higher than they expected, Clark said. "I have dealt with many consumers. Whether they are first-time buyers or sellers applying for another loan, the common denominator for both are the complexities of determining what their actual interest rate will be," Clark said. "It is usually not the rate that draws them to make an inquiry in the first place." You might see a local lender advertising a mortgage rate of 3.95 percent on a 30-year fixed-rate mortgage loan. But when you apply, this same lender might charge you a rate of 4.25 percent. That can be frustrating. But it's important to understand why you might not qualify for the advertised interest rate. Maybe your three-digit credit score is too low, meaning that you're a higher risk to default on your loan payments. Maybe you didn't come up with a high enough down payment. Maybe your income is too low to qualify for the best mortgage rates. "Rate determination is often a constantly changing mix of your job, available assets, down payments, credit weighting, income, geographical location and type of property to be purchased," Clark said. Michelle Black, credit expert with HOPE4USA.com, a credit education and restoration program in the Charlotte, North Carolina, region, said that many consumers hate having their credit run by lenders. That's because they often don't know what negative marks might be lurking on them, Black said. "The process of having their three credit reports checked can often be very unsettling to consumers, especially if they are in the dark regarding the current state of their credit reports," Black said. "Many, if not most, are completely unaware of the condition of their credit reports prior to a mortgage application." There is no way to avoid the credit checks that lenders require. But Black said that consumers can at least ease the stress by ordering their credit reports before they even begin applying for mortgage loans. Consumers can order each of their three credit reports -- from TransUnion, Experian and Equifax -- for free once a year at AnnualCreditReport.com. Once consumers get their reports, they can study them for any negative marks so that they'll at least be prepared before applying for a mortgage. It's sometimes possible to fix a bad credit report by identifying errors, such as a report of a delinquent debt that actually was resolved some time ago. In such an event, you need to inform the credit reporting agency of the error and contact the creditor making the claim to have the report corrected. You will likely need to provide supporting documentation. Did you receive a big chunk of money from a one-time side job last year? Did you deposit that large check into your savings account recently? Maybe you sold a car and tucked away the money from that sale into the same account. Get ready to explain all this -- and provide the documents that prove the source of this money -- when you apply for a mortgage loan. Lenders will require that you source all recent large deposits into your bank account. "You would think having money going into your bank account is a good thing," said Peter Grabel, managing director of Luxury Mortgage Corp. in Stamford, Connecticut. "However, with the Patriot Act and numerous other regulations, banks are required to document all deposits that are not from your primary job. If you sold a car, have wedding gifts, have a part-time job, we need to show a clear trail of where the money came from." Grabel said that the best way to ease this hassle is to gather all the money you need to close a mortgage loan before you start the mortgage process. He recommends putting all the dollars you plan on using for a mortgage into one account, avoiding any transfers until the closing process is complete.